Los Angeles • Yes, Damir Kreilach scored two goals — one of the karate variety. Yes, Real Salt Lake went on the road, where it won only three games in the regular season, and usurped a statistically better opponent. But it was defender Nedum Onuoha who on Thursday proved why RSL signed him in September. In Real’s 3-2 win over Los Angeles Football Club, Onuoha was everywhere, batting away balls and putting his 6-foot, 210-pound frame up against LAFC’s attackers, bothering them just enough to cause resets in their offense. After the stunning victory that advanced RSL to the Western Conference semifinals of the MLS Cup Playoffs, head coach Mike Petke called Onuoha a star. 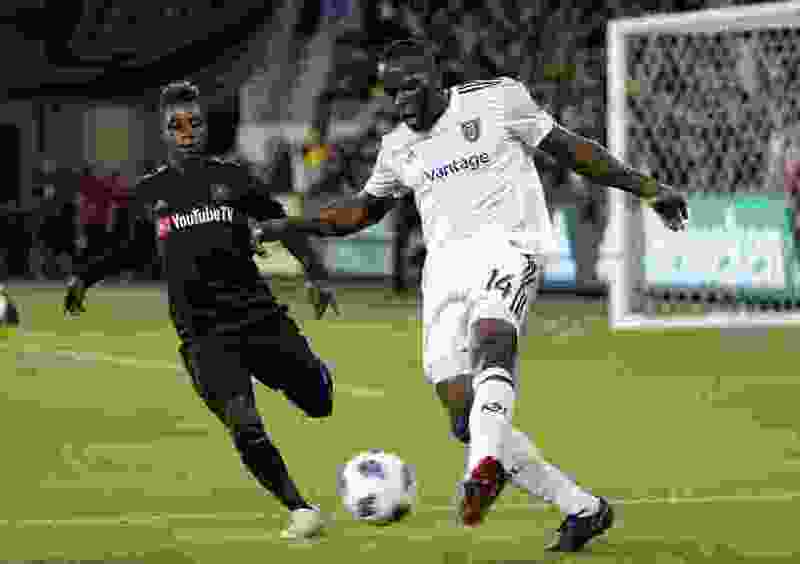 The Nigeria-born defender, who started his second MLS game Thursday in just his third-ever appearance, said it was a “big pat on the back” that Petke called his number in the biggest game of the season. When • Sunday, 8 p.m.
Onuoha tallied 14 clearances, five interceptions, three defensive blocks and three recoveries, per mlssoccer.com. The other three starting defensive backs — Brooks Lennon, Marcelo Silva and Aaron Herrera — had 15 clearances combined. Onuoha said the key to RSL’s collective effectiveness on defense simply came down to desire. With Onuoha and Marcelo Silva getting the start Thursday, that left Justen Glad on the bench for just the second time this season. The first time that happened, Glad was also replaced by Onuoha and Silva — and RSL came away with a crucial victory against the New England Revolution. Glad said after the day after the New England game that he did not mind giving up his starting spot. Real is now 2-0 when Onuoha appears in the starting 11. While he won’t be actively lobbying Petke and the coaching staff for more starts any time soon, he sees any opportunities this season as icing on the cake after only hoping he would play once he joined RSL.